Remember last week when it was so hot we almost started complaining about it? It's such a distant memory, but we're trying to remain positive that there might be a couple more warm and sunny days to come before November, and it's important to have the appropriate footwear on standby, just in case. Palmaira sandals, all handmade in Menorca, are my star buy choice of the summer. They are just so simple and chic, their price points are not very high, and there's a huge range of colours to choose from. I bought these ASOS espadrilles last year and I love them because they go with everything. They have changed the style very slightly this year - there are a few more unnecessary studs and the sole is a thicker platform now - but hopefully the latter means they are a bit sturdier. Take your usual size. Most of the Soludos espadrilles come with cartoons on the feet, which is not up my strada, but these sandals have made it out of the factory warehouse with the bare minimum, thankfully. The brand doesn't have a UK site, but you can buy them from Shopbop. 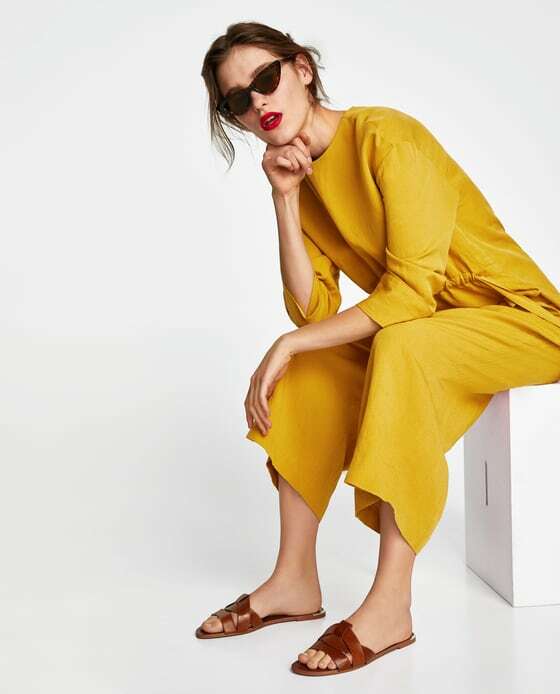 I'm not surprised this model is sitting down because I have no idea how she's supposed to walk with no support around the back of the heel but VESTA publisher, Kate, has these lovely Zara sandals and confirms walking is in fact possible and that they are very comfortable. She recommends taking a size up. And Other Stories have some really good summer flats this season. These red thong sandals, in particular, make me yearn for a white linen dress and an Ionian-induced tan.